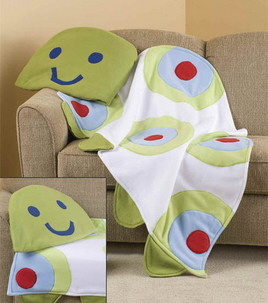 What child wouldn’t love to curl up under this precious turtle throw? Warm and whimsical, the head of the throw doubles as a pillow. Great for nap time!